Kemuri - World Tour to Resume in October | VKH Press – J-Rock & Visual Kei Coverage Worldwide! The reason for band breakups is almost always the same, whether there was a falling out between members or creative differences that eventually led to solo careers. But for Kemuri, it was a different story; they had reached the peak of success, and decided that it was best to end everything on a high note. Having written a song about and named an album after their “Positive Mental Attitude,” their ethos inspired their graceful conclusion in 2006. 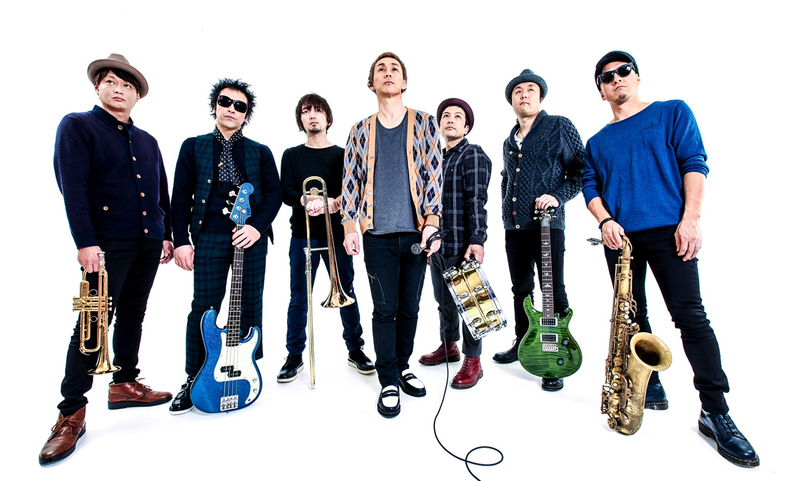 Fans of the Japanese ska group were more than elated to witness their reunion at the 2012 Open Air Jam music festival, which sparked rumors of the band getting back together. Reunite they did, as they released three albums after their 2012 reunion, globetrotting and performing their latest hits and classics with their loyal fan base. Resuming part II of their world tour in October, Kemuri embarked on their 2016 world tour in the middle of summer, traveling along the west of the US for nine days, along with the New Jersey band Streetlight Manifesto as their opening act. They visited every music hub of the west, from Portland to Los Angeles and Las Vegas. While Sin City may not have a wide scope of genres like the previous two music capitals, over the years it has become an important venue for traveling musicians, mostly due to the growth of online casinos that have kept patrons at home instead of playing at brick and mortar facilities. With digital operators guaranteeing cash incentives from free daily spins, casino operators looked to other forms of revenue to boost sales once again, appealing to music enthusiasts to propel the city’s tourism to unrivaled heights once again. From Vegas’ plethora of arenas to superclubs and outdoor spaces, there are more than enough venues to cater to the needs of visiting talents, which Kemuri and their fans embraced this year. The US part of their tour ended on July 23 at the Showbox in Seattle and will start the tour back up in the next couple of weeks, hopping across the pond to the UK. Reasons for the two-month break are unknown, but nonetheless, Kemuri will kick off the UK tour in Bristol, heading over the Sheffield and Birmingham in the days following, and concluding in London. This time around, Kemuri will be traveling with Floridian ska group Less Than Jake. For music fans that will be in the UK in early October, tickets are still available for purchase on Kemuri’s main website. Formed in 1995 in Oxnard, California, Kemuri (which is Japanese for smoke) is a Japanese-American ska punk band. Their upbeat sound with positive lyrics, which they refer to as PMA (positive mental attitude), have earned them many fans over the years, quickly bringing them around to the peak of their success. Having originated in California, a majority of their songs are in English, but there are a number of them in Japanese as well. Their popularity and fame caused their initial disbandment in 2007, but they reunited five years later in 2012. Since then, Kemuri have released 4 full-length albums and continue to tour actively. This is a guest post by Bethany Green.